When it comes to preparing Mother’s Day menus, it seems like us moms are still the ones doing all the work! But that’s part of the job, isn’t it? And surely it’s part of the reason that there is even a day to celebrate motherhood. What’s important to many moms is to honor, serve, and pamper their own mothers. If you’re going to be cooking a meal this Mother’s Day, then let’s do our best to create something that as uncomplicated and as easy as possible. Simple recipes that offer options for other people to help out and contribute items will help everyone enjoy the day, celebrating what it really means to be a mom. For the first time ever, this year Faithful Provisions is offering you gluten free options for your Mother’s Day Meal Plan. I’ve enlisted the help of my friend Lynn of Lynn’s Kitchen Adventures in bringing you kid-friendly, palate-pleasing menu ideas for a gluten free (and hopefully care-free) Mom’s Day. :: With ideas for both a Mother’s Day brunch or dinner, check out Lynn’s recipes for a Gluten Free Menu for Mother’s Day HERE. 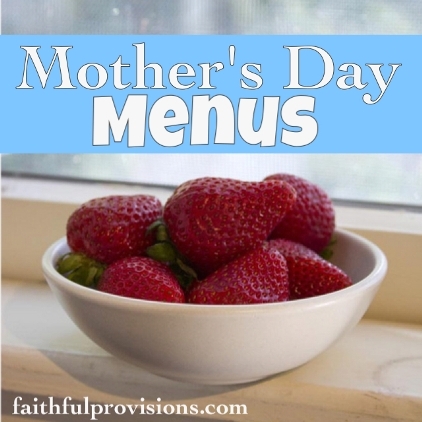 I’ve created more menus with recipes for Mother’s Day that offer grilling options, easy side dishes, and wonderful, fresh desserts. With strawberries in season, strawberry lovers will enjoy incorporating their favorite berries in salads, salsas, and of course, desserts that are beautiful and for the most part, guilt-free! 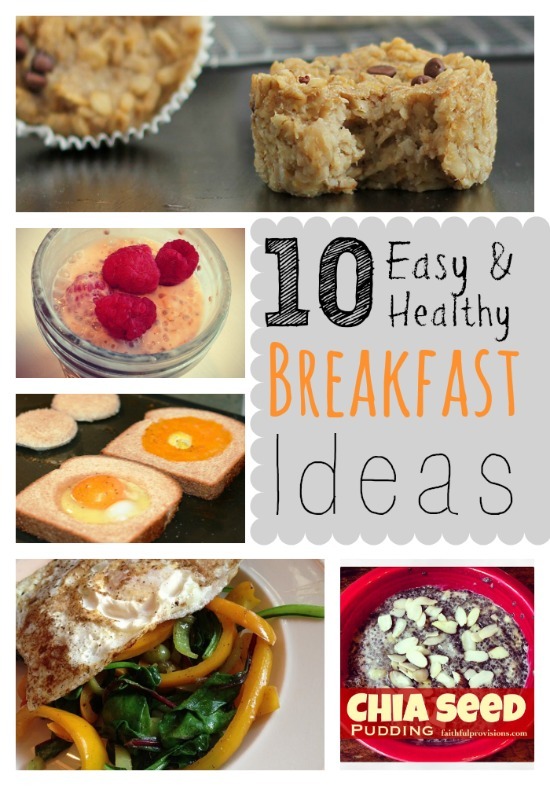 You’ll also find easy recipes for Mother’s Day that Dad and the kids can easily prepare for a special lunch. What could be more memorable than to spend the afternoon at a park, picnicking with your family and appreciating all the reasons why you are a mom? :: You’ll find lots of different menus and Mother’s Day recipes HERE.